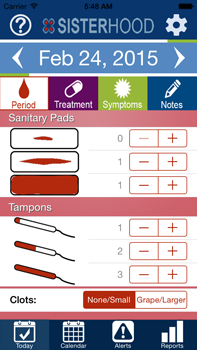 Log daily product usage of tampons and sanitary pads. 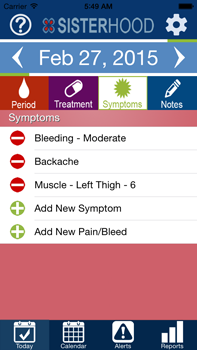 Document menstrual clots. 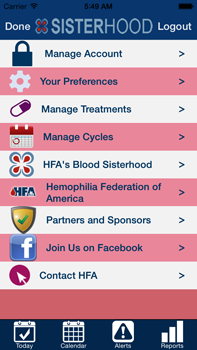 Keep an ongoing history log of your menstrual cycles. 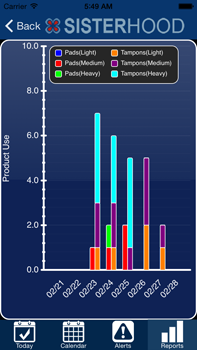 View reports and charts. 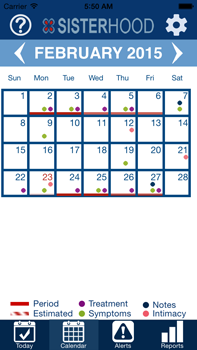 View your period history journal in monthly calendar format. Predict your next period. 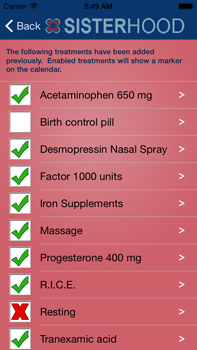 Specify any type of treatment. 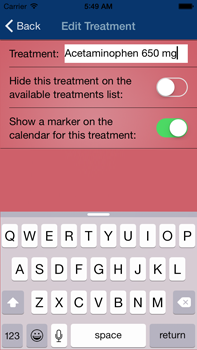 Hide regular, daily treatments from filling the calendar. 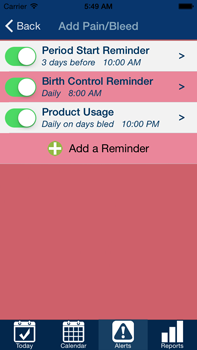 Create period start reminders. 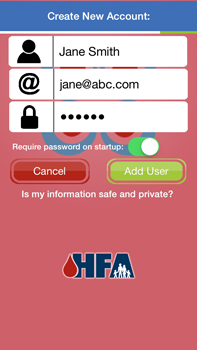 Create custom alerts to take your medication or log your day. 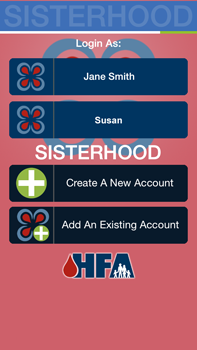 Share one device for multiple women. Or use more than one device for only yourself. Use the Wong-Baker FACES Pain Rating Scale to rate your pain levels.